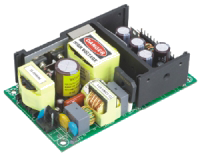 The PSSBU151 series of AC/DC switching mode power supplies provides 150 Watts of continuous output power in a compact, open frame constructed design. This series has single output supplies with a universal input range of 90~264VAC. These units are ideally suited for use in disc drive systems, microprocessor based systems, portable equipment, and many other applications. All models meet FCC Part-15 class B and CISPR-22 class B emission limits. These supplies also comply with UL/cUL (UL 60950-1), TUV/Bauart (EN 60950-1), and new CE requirements. All units are 100% burn-in tested. The PSSBU150 Series has a 2-pin input connector; a 3-pin input connector type is also available (See PSSBU150 Series). Notes: 1. 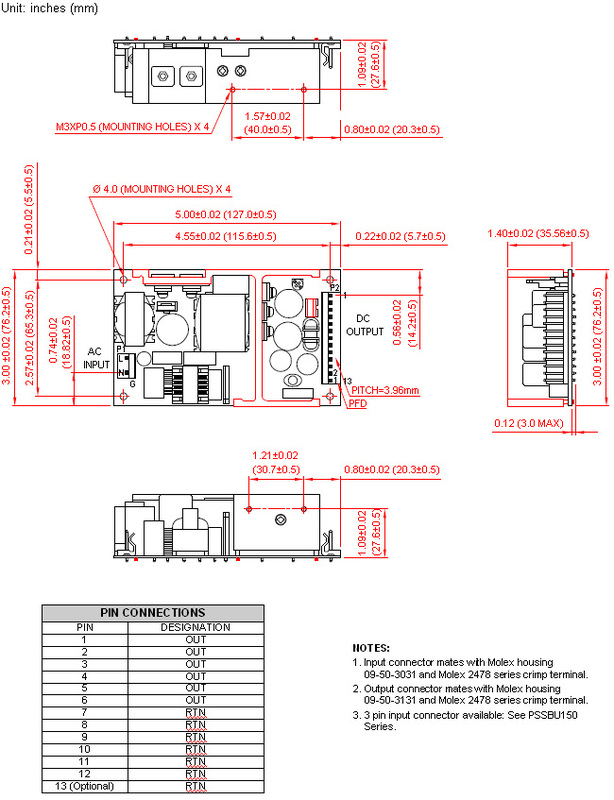 Input connector mates with Molex housing 09-50-3031 and Molex 2478 series crimp terminal. 2. Output connector mates with Molex housing 09-50-3131 and Molex 2478 series crimp terminal. 3. 3 pin input connector available: See PSSBU150 Series.